I LOVE LOVE LOVE this film!! besides that Rosalind Russell is my favorite old Hollywood actress, this film kept me on the edge of my seat wondering how the story is going to end! 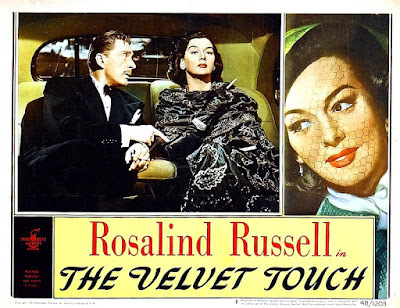 it's a must see movie for any one of you who is a big fan of Rosalind Russell. Most of us thik of Rosalind as "Auntie Mame", she is so great at her comedic role but not many of people know that she is great when it comes to dramatic role!! 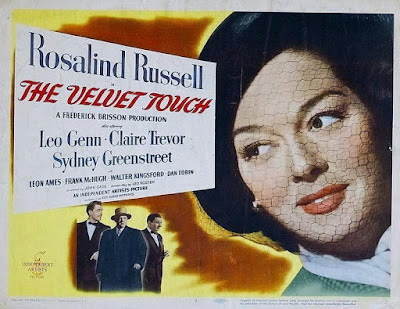 Based upon a story by William Mercer, The Velvet Touch stars Rosalind Russell as Valerie Stanton, a celebrated Broadway actress whose latest smash comedy is coming to the end of its successful run. 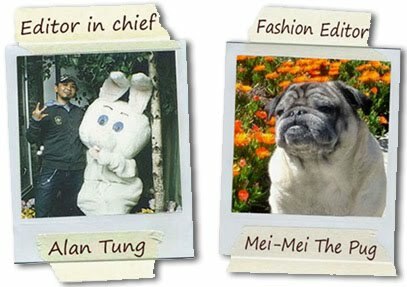 The play's producer, Gordon Dunning, has produced all of Stanton's hits for the last decade, and takes credit for making her the star she is today. He is therefore upset when she informs him that she wishes to make a break with him by both marrying Michael Morrell, a renowned architect, and by taking a stab at one of the classic roles -- namely Hedda Gabler -- under the auspices of another producer. 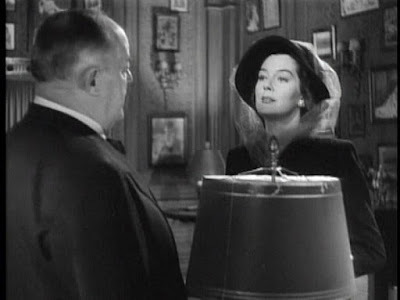 Dunning has no intention of letting her move forward with her plans, and he tells her that if she refuses to continue working with him in light, profitable comedies, he will reveal unflattering information about her to Morrell. Frightened that this will destroy her relationship, Stanton picks up a statue from Dunning's desk and delivers a fatal blow. Fortunately, because she is wearing her trademark long black gloves, there are no fingerprints, and Stanton creates a plausible alibi. Suspicion therefore shifts to Marian Webster, a rival of Stanton's who finds the body and was once romantically involved with Dunning. Stanton seems to have gotten away with murder -- but can she avoid making any mistakes as police captain Danbury proceeds with the investigation? You just have to watch it yourself to find out!! Now go grab a big tall drink or a cup of coffee, get cozy up on your chair or sofa & enjoy this super fabulous movie! !